* I’m using “literally” millenially i.e. figuratively. Statistics for executions in KSA are difficult to trust. Islamic leaders point out that decapitation is not Koranic, calling it “an old Nejdi tradition having nothing to do with Islam”. so in the case of apostasy the government usually sticks to several years of imprisonment receiving monthly lashings. The Saudi government has matched the growth of the population with growth of influence. The powers in Riyadh beneficently oversee a controlling interest in the world’s oil supply. Compared to their neighbors torn by sectarian violence, Saudi Arabia is a model of relative peace and stability. They control admission to the MBR which mil- if not billions of Muslims worldwide believe they ought to visit at least once if they want a shot at a decent afterlife. Among all this financial, military, and religious power, the streets of Riyadh boast emblems of modernity like skyscrapers, iPhone abuse, and the choice between Starbucks Dunkin’ or Krispy. 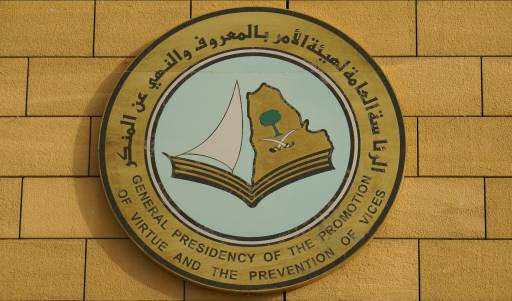 But don’t get sucked in to the 21st century veneer, as failure to conform to the strict moral guidelines will result in a visit with The Committee for the Promotion of Virtue and Prevention of Vice, Saudi Arabia’s surreal yet very real religious police. 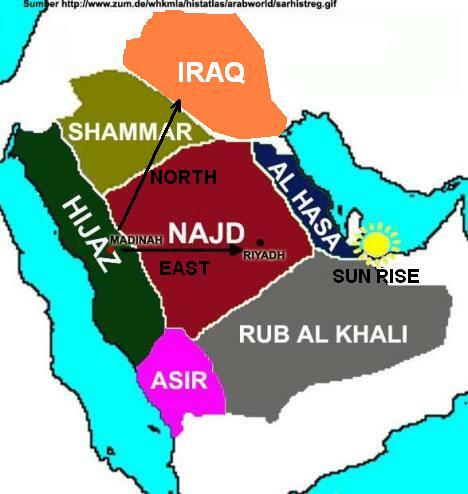 northern boarders of Najd to seal off the unruly Arabs. begrudgingly cooperating with the Central powers. Nejdis are still quite likely to resist foreign influence, although the task is becoming impossible with globalization. I don’t know about the rest of Saudi Arabia but in Riyadh there are two stores that sell musical instruments and last I saw neither carried equipment adequate to create say Arabic basement black metal. According to a Guardian write up, Al-Namrood “have to smuggle their instruments out to the US for repair via a clandestine drop off spot in Bahrain”. It follows they’ve had to smuggle them in as well which I’m fascinated imagining how a guy smuggles a trap set into Saudi Arabia. It reminds me of a British fellow I heard of who, and had I known him personally I would have reprimanded him for stupidity recklessness and breaking the law, went to great pains to smuggle from Bahrain the most important part of a BLT sandwich. Before leaving KSA, the guy packs a cooler with a bunch of stuff that looks like the leftovers of a beach picnic or something. Then in Bahrain he buys a few kilos of Christian cholesterol direct from a butcher and special requests for it to be labeled as turkey or something, and puts it in with the picnic basket leftovers, and I guess this works for him, although it seems like kind of a dumb risk and a lot of trouble just for a proper English breakfast. So now I’m wondering if faced with permanently giving up either bacon or rock’n’roll, which would I choose? I actually can’t answer that. Business class passengers often label Middle America “fly-over country”. (I’d like to remind them they probably come from somewhere that is just a collection of letters like NYC or SF or DC or LA etc). Like the heartland, the Najd used to be an area mainly relevant only insofar as people crossed it on their way to more important places. P/A Gulf to the east, Red Sea ports to the west, and to the north the gateways to Persia. For centuries the Najd was “caravan-over country”, as nomads shuffled camels, incense, fabrics, and other goods towards the coastal areas or up through Babylon towards the mountains of Turkistan or Kashmir. Of course, the desert highway across the Najd also served importantly as the land route for pilgrims from Persia or the Indian sub-continent, destined for the Hejaz and soul-purifying laps around the MBR(3). Do Al-Namrood produce their music as an antidote to all the piety in the air? Or maybe they just play to tribute futile frustration and sandstorm obscurity? There was this recent London installation, and the gyst of the Art™ was that this death metal band enter a sound-proof, air-tight cube, and scream pound thrash etc until they run out of air, at which point I assume they’re released, and while the audience outside the cube can see the band in the physical contortions of scream-/pound-/thrashing and see the box vibrating, they can’t hear anything, and this is a statement about perhaps the indomitable human spirit against life’s futility or maybe not I won’t presume to put words in anyone’s mouth. Riyadh is a simultaneous dis- and utopia, depending on who you ask. It’s a city with mind bending layers – extremes of wealth and poverty, piety and corruption. Al-Namrood capture this cognitive dissonance visibly as well as audibly in their first official music video which is a surreal collage of hookah vixens, nomads, and militants, a sort of George Orwell / Dziga Vertov / Frank Herbert love child. Traditional instruments and black metal come together naturally, like a shared room in a cheap hostel. “Estahalat Al-Harb” begins by lifting a snake charmer’s flute then somehow keeping intact the mesmerizing pipe trance as the song explodes into a sandstorm of tormented vocals and kick drums. Al-Namrood makes up for not a little technical deficiency with metal zealotry. I don’t know where exactly their aggression is directed, but it’s clear they’ll never back down.